Squadron Leader P.K. Bundela and his wingman, Flight Officer S. Narayanan, were sitting ready at the Indian Air Force (IAF) base at Naliya when the call came to the No. 45 Squadron ready room — scramble for intercept. It was 10:57 hours on August 10, 1999 — today in aviation history. Two minutes later, the two men had arrived at the runway. They advanced the throttles and had lifted off, pointing the nose of their MiG-21 jet interceptors toward the skies above. Checking in with ground controllers, they were given a northern heading and altitude. Then, instructions came rapid fire over the radio. The target was a single bogey, presumably a Pakistani aircraft, that had approached the border of India from the north. The plane had flown along it, tracing a flight path that closely aligned to the “M” like shape of the border line itself. The area of operations was the northeast corner of Gujarat state, bordering with Pakistan’s Sind — it had been a been a flash point of two previous full-on conflicts between India and Pakistan. The two Indian fighter pilots knew that this was serious business. An Indian Air Force MiG-21 fighter interceptor. Inadvertently, the Pakistani aircraft, a naval Atlantique type that was outfitted for electronics reconnaissance operations, had crossed the border for a minute or so before turning back north into Pakistani territory. This had been what triggered the two MiG-21 fighter interceptors to scramble. As the two Indian planes sped north, the Pakistani Atlantique made another turn toward the border, this time completing a 360 degree orbit — the first of two. Perhaps the pilot meant to stay on the north side of the border but once again he crossed into Indian airspace. The memory of the recent May shoot down of two Indian aircraft (a fixed wing plane and a helicopter) in the same area — just three months earlier, in fact — had the Indians on edge. The ground controllers kept a careful log of the radar tracks — other Pakistani military aircraft had crossed the border nearly a dozen times in the area during previous months, each time a provocation that left India looking foolish as its regional rival routinely snubbed its nose at India’s sovereign territorial rights. This time, if the circumstances allowed it, the Indians hoped to intercept and force the Pakistani plane to land at an Indian base. If they couldn’t achieve that, they meant to shoot it down. 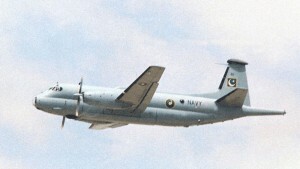 A Pakistani Navy Br.1150 Atlantique reconnaissance plane. The Pakistani plane completed its 360 left hand turn, then curved around again into a long vertical oval that was apparently supposed to trace the border along a north-south line just to the west — i.e., they flown down the left bar of the “M” shaped demarcation line. At the bottom of the “M”, the Pakistani plane made a left turn to come back around north — and once again, it crossed the border, if only briefly. Each crossing was just a minute or two long, but each was seen as a violation by India, which was growing more and more angry with Pakistan’s movements. The two Indian fighter planes arrived in the area, making a course correction to prepare for a possible interception if the Pakistani plane crossed a fourth time. The Pakistani plane was a Breguet Br.1150 Atlantique, a type designated for electronic reconnaissance with the Pakistani Navy. On board were sixteen men — five officers and 11 enlisted men manning the ELINT gear and flight crew positions. To that point, the pilot had essentially traced the border itself, though imperfectly, having crossed three times already in error. Whether the crossing were due to a flaw in the navigational systems or pilot error was impossible to know. What was certain, however, was that dancing around at the edge of the border zone was needlessly playing with fire — it was provocative, to say the least. 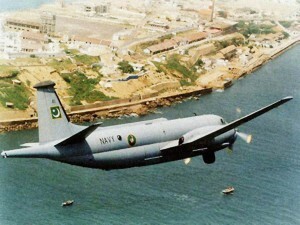 A Pakistani Navy Br.1150 Atlantic climbs out just after take off. It was just that sort of violation that both countries had earlier sought to avoid through an international agreement governing flights close to the border. Specifically, fighter planes, bombers, reconnaissance aircraft and other military operations were not to take place within 10 miles of the border line. Sadly, both countries had been regularly breaking the agreement, though that didn’t make it right for either to continue to ignore their agreed obligations. This time, however, the Pakistanis had made a mistake and had flown across, then tarried too long, allowing the Indian fighter interceptors enough time to arrive on the scene. As the Pakistani plane looped back southward, paralleling the north-south run of the border, the pilot once again crossed the line, this time heading south across the border at the point where it turned to an east-west line again. It only took about 45 seconds before the plane turned east, probably thinking it was flying along the border itself, when in fact it was a bit more than a mile or two too far to the south. 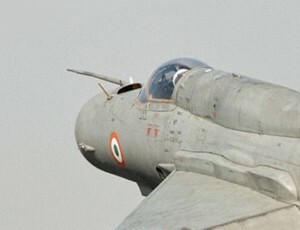 Close-up of an Indian MiG-21 in flight. 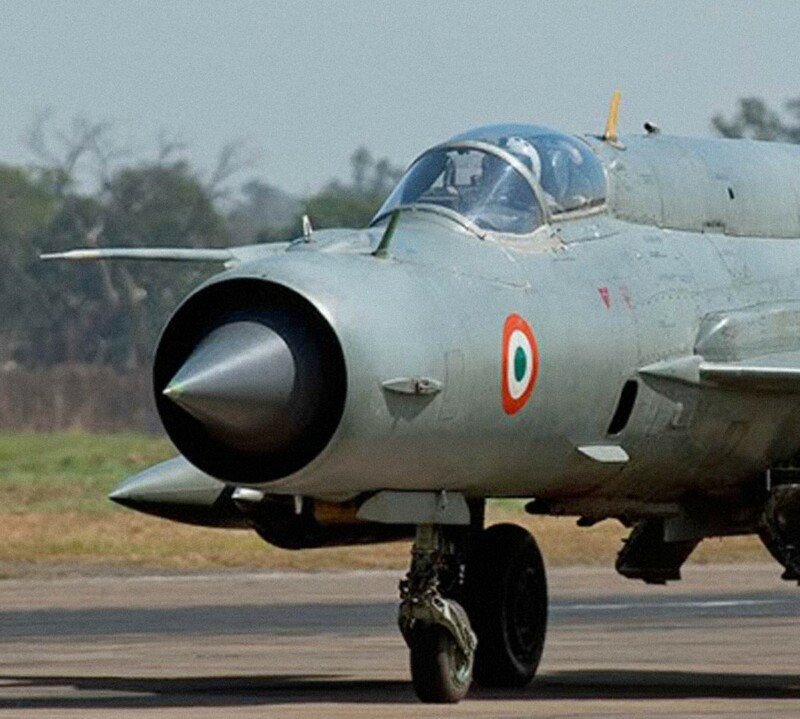 The two Indian MiG-21 fighters turned west and took on an opposing course, head-on but offset to the north. As they came closer, putting the Pakistani plane at their 10:00 o’clock position, they turned into a tight pursuit turn, a classic intercept maneuver where you put your nose on or just ahead of the target aircraft and continue to turn around it, falling into trail as it speeds by. 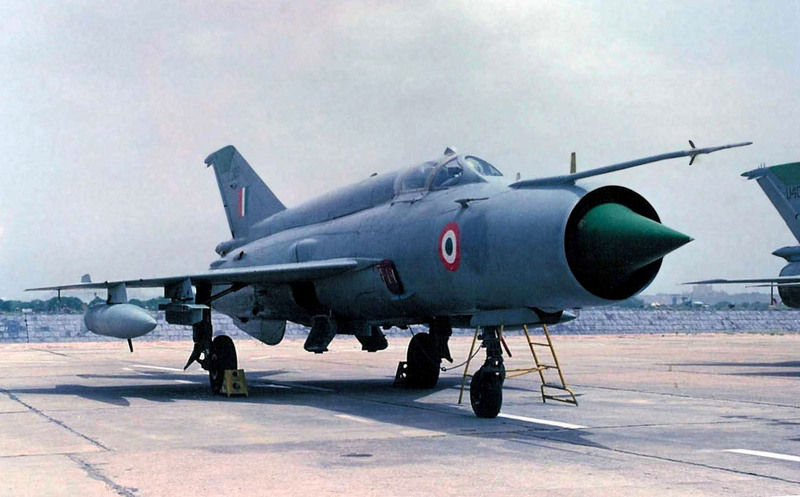 Both MiG-21s were now positioned to the Pakistani plane’s left, just 300 meters off the left wingtip. Squadron Leader P.K. Bundela identified the Pakistani Navy Atlantique — it was definitely a military plane and was clearly flying a cross-border reconnaissance flight. Later Indian authorities would claim that the plane was likely involved in electronics surveillance of Indian air defense radars and, as such, was flying the border — even crossing it somewhat — in order to spur the operators into full activity. Thus, the data received would be valuasble and complete. It was a reasonable claim. Sqn. Ldr. Bundela pulled closer alongside the Pakistani plane to signal it. From that point on, in accordance with military-to-military protocols, the choices were defined — the Pakistani military plane was in Indian airspace and had been intercepted by a military plane. It could either follow the instructions of the intercepting aircraft or risk being shot at — or even shot down. Typically, if they did not comply, the interceptors would fire a warning shot across the nose of the plane, signaling that non-compliance would result in being shot down. Clearly, the Pakistani pilot had spotted the two Indian planes. However, the reaction was clear and unambiguous — the Pakistani pilot turned sharply to the north, making a run toward home — that turn, however, meant that it turned toward the two MiG-21s, cutting directly into their flight path. As the two MiG pilots turned to the right to cross behind the Pakistani plane and avoid a collision, they reported that the target aircraft was running northward. The ground controller gave Squadron Leader Bundela authorization to fire.